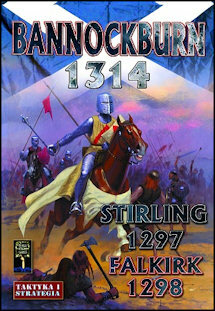 “The Battle of Bannockburn (Blàr Allt a’ Bhonnaich in “Scottish Gaelic”) (24 June 1314) was …. one of the most decisive battles of the First War of Scottish Independence, and remains one of the iconic cornerstones in the History of Scotland…. Edward (II of England) came to Scotland in the high summer of 1314 with the preliminary aim of relieving Stirling Castle: the real purpose, of course, was to find and destroy the Scottish army in the field, and thus end the war. England, for once, was largely united in this ambition, although some of Edward’sgreatest magnates and former enemies, headed by his cousin, Thomas of Lancaster, did not attend in person, sending the minimum number of troops they were required to by feudal law.